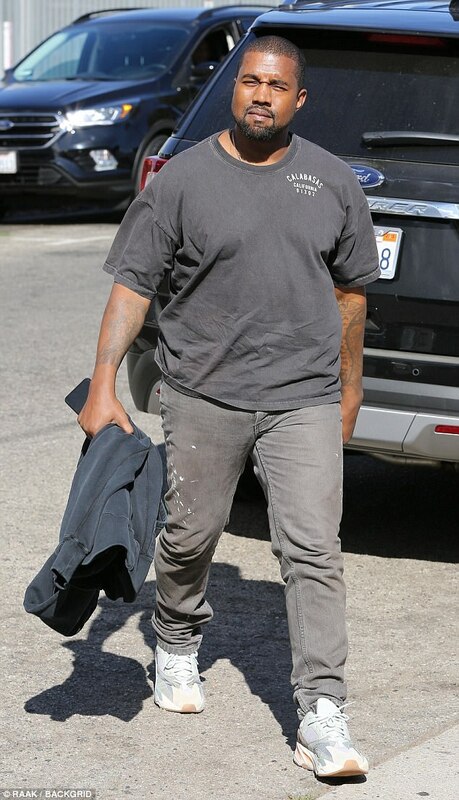 There seems to be alot of things that comes along when you finally lands into the Kardashian family. One of such things is you completely lose your sense of reasoning and you start acting controversial. Recall how Kanye went hard on Jay-Z few weeks ago? Well it's the blood of the Kardashians already at work. 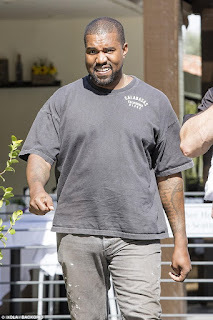 Just recently, The father of two where spotted with wife, Kim as they accompanied their kids to Ice skating class and it seems to be adding weight lately. If this trend continues, Kanye could possibly eat himself to death.